1. 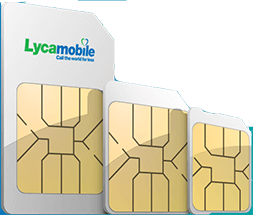 While providing the Internet access service, Lycamobile will treat all data transmission in an equal and non-discriminatory manner, without any restriction or interference, irrespective of the sender and the recipient, the content accessed or distributed, the applications or services used or rendered available, or the telecommunication devices used. 2. Through the internet access service provided by Lycamobile end users can access and distribute information and content, use and provide applications and services, and use terminal equipment of their choice, irrespective of the end-user’s or provider’s location or the location, origin or destination of the information, content, application or service, via their internet access service. 3. Due to objectively different technical quality of service requirements of specific categories of traffic, Lycamobile apply reasonable traffic management measures, i.e. measures which are transparent, non-discriminatory and proportional. 4. 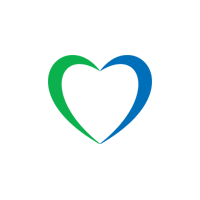 Reasonable traffic management measures applied by Lycamobile support effective use of network resources as well as optimization of overall transmission quality. These measures may lead to differentiation between objectively different categories of traffic in order to maximize overall quality and end-users comfort, and are used exclusively as a response to the objectively different technical quality of service requirements (i.e. jitter, latency, packet loos) of specific categories of traffic and transmitted data (content, application and services) and lead to proportionate allocation of available resources among end-users who use shared network resources. These measures are not maintained for longer than necessary. 5. The relevant traffic management measures that are used by Lycamobile for managing Internet access service shall not affect the end users’ privacy, or protection of their personal data. c. prevent any situations causing a threat of network overload (i.e. the situations in which network overload is imminent) and mitigate the effects of network overload if such network overload is of temporary nature only (i.e. specific, short-lasting situations in which rapid growth of the number of users vs. the regular number of users, or rapid growth of demand for specific content, applications or services can result in the transmission capabilities of some network elements being exceeded while making the remaining part of the network being less responsive), or when such network overload appears in exceptional cases (i.e. unpredictable and unavoidable cases of traffic overload in mobile networks, with possible reasons including technical failures, e.g. downtimes due to damaged cable or failure of other elements of the infrastructure, unplanned changes of data routing, or high growth of data transmission volume in the network due to extraordinary situations or other circumstances which are beyond the control of Internet service providers), as long as the equivalent data transfer categories are treated equally. 7. Data volume limits, speed restrictions and other quality of service parameters (e.g. latency, jitter and packet loss) may affect the quality the Internet access service by slowing down the speed or restricting access to content, applications and services. Availability of content, applications and services depends on the quality requirements defined by the providers of such content, applications and services. In practice some content, applications and services, or other functionalities may not be available due to jitter or the Internet access speed which are lower than required by the providers of such content, applications and services. Detailed information regarding operation of respective services/data transmission packages, including the restrictions resulting from exceeding the data volume limits, are specified in the rules and regulations of these services/data packages. 8. Simultaneous use by an end-user, on one and the same telecommunication device, of Internet access service and other services, not being Internet access services, which are offered by Lycamobile which are optimized for specific content, applications or services, or a combination thereof, where the optimization is necessary in order to meet requirements of the content, applications or services for a specific level of quality (the so-called specialized services), may result in restriction for such an end-user of the data transmission speed and higher latency for both, uplink and downlink. The explanation of how such a service, which is not an Internet-access service, could in practice affect the Internet-access services provided to an end-user, shall be found in the service rules and regulations. Specialized services offered by are neither offered, nor can be used as a substitute of Internet access services, and shall neither restrict, nor adversely affect the overall quality of Internet access services for end-users. 10. The above, estimated data speeds are the maximum values. The actual data speed which can be achieved depends on numerous variables, including the telecommunication device used, the radio signal power, the distance from a base station, the factors influencing propagation of radio waves (such as terrain configuration, buildings, weather conditions), structure and signal damping properties of the construction materials used for constructing a building, increase of number of end-users in respective locations occurring from time to time, type of SIM cards used. 11. Lycamobile will be updating the information regarding the estimated, maximum data download and upload speeds for Internet access service at its www.lycamobile.pl. Advertised download and upload speed of the internet access services may be specified in marketing advertisements. Explanation of the impact of significant deviations from the respective advertised download and upload speeds, if such speeds are advertised, can be found in the rules and regulations of promotions or services, to which the advertised data download and upload speeds relate.